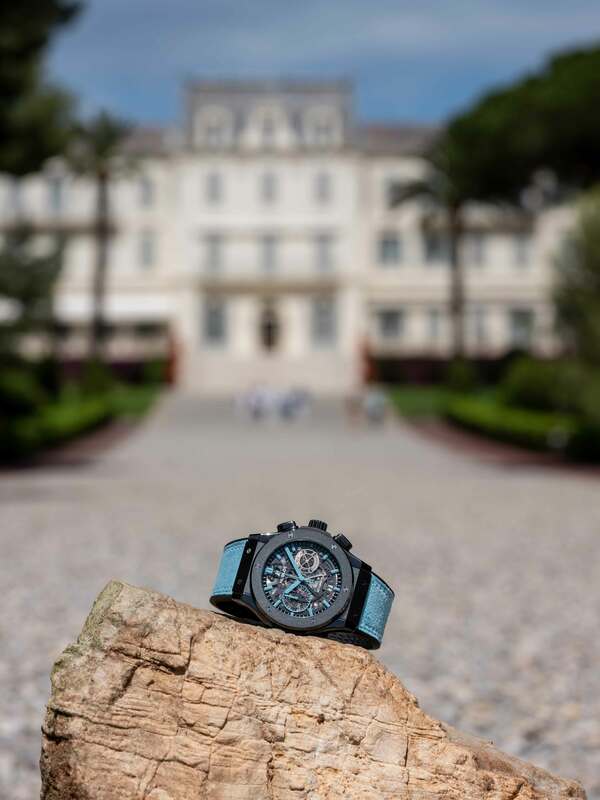 An exclusive watch and an exclusive hospitality destination. 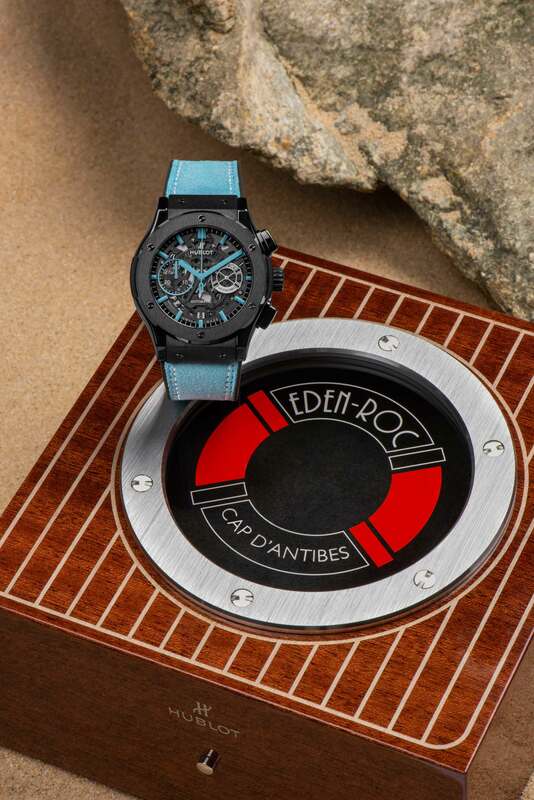 Joining the Eden Being collection of bespoke pieces associated with the Hotel du Cap-Eden-Roc in the south of France, Hublot presents the Classic Fusion Aerofusion Eden Roc. 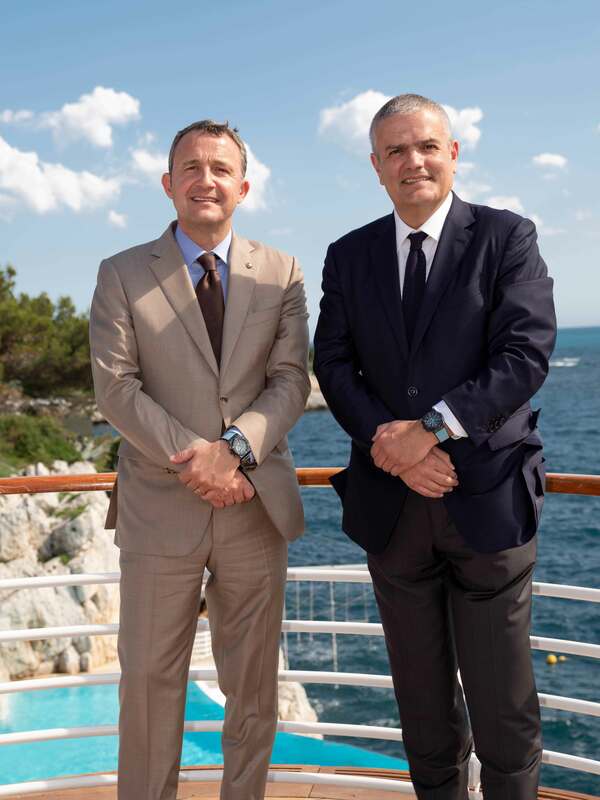 A limited edition of 50 pieces, the hands, markers and aged leather band are done in varying shades of blue reflecting the Hotel's Mediterranean Sea location. 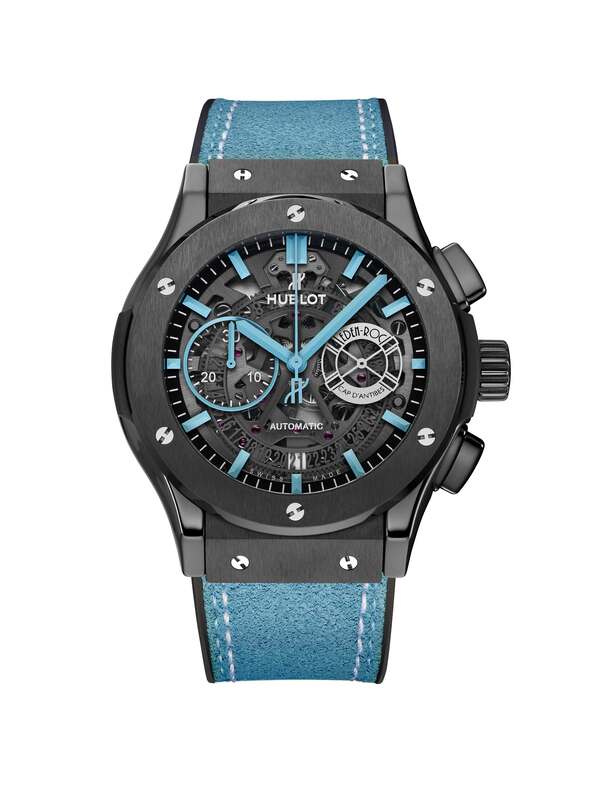 It also comes with a black calfskin strap with blue stitching. 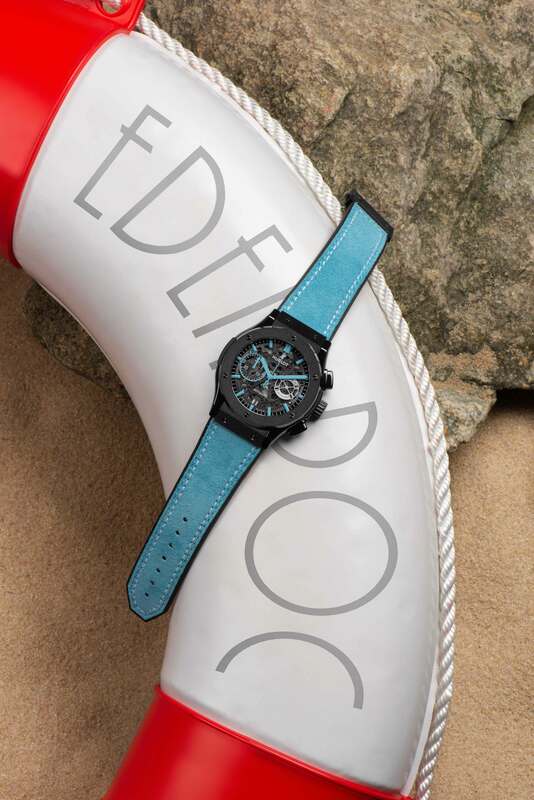 The case is polished black ceramic. 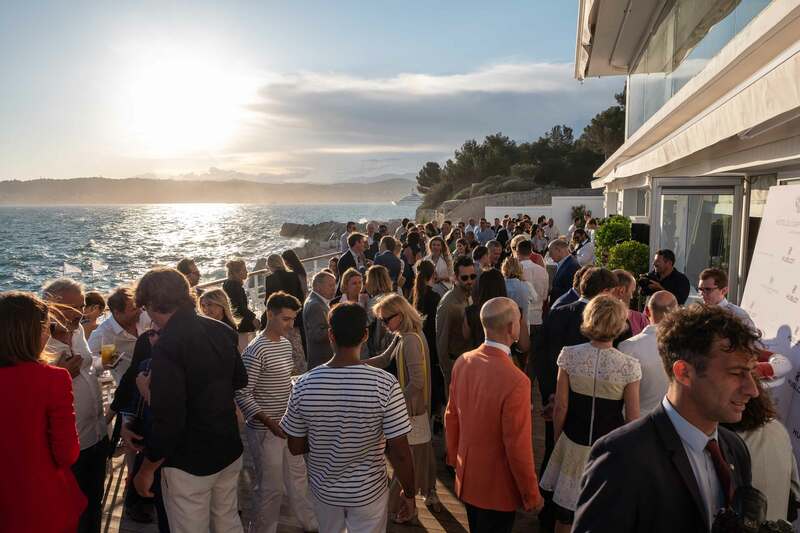 The overall impact is designed to match the site's laid-back elegance. Wow, hadn't seen that one. Thats awesome.